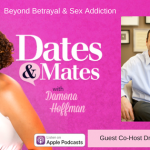 On this episode, storyteller Shannon Cason (Homemade Stories & WBEZ Chicago’s The Trouble with Shannon Cason) joins with his wife Cindy to share the secrets that almost tore their marriage apart and how they’ve weathered the relationship storms. 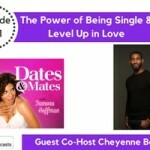 Plus, Relationship Scientist Ryeal Simms handles the headlines with Damona including how dating apps can score you a job, the impact of working from home on your relationship, and Iggy Azalea’s whiplash dating week. 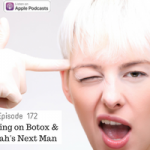 Questions from listeners include how long your engagement should last and how to get a guy who is out of your league. Can dating apps help you land a job? Many millennials are turning to dating apps to find a job these days, with it not being too uncommon for freelancers to get hired after two dates, or at least recommended. And honestly, why not! As long as you’re transparent that you’re looking for professional connections, it seems like an interesting way to boost your chances of finding work. You can read more via ABC News here. We all have some anxiety, but even opening up an email to glance at after work can create the sense of “work without boundaries” and increase our stress tenfold. This can effect partners, children, and friends as they see the psychological effects of never “turning off.” You can read more via the Independent here. Last week Iggy Azalea confirmed she was dating Texans wide receive DeAndre Hopkins, only to Tweet out she was single again the next day. Both seemed a little affected, Azalea sharing Tweets about how she’ll always be single and Hopkins getting into a fight in his game the next day, but Azalea is already rumored to have been spotted with Tyga. You can read more via USA today here. 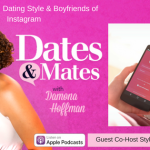 Damona got a little serious on this week’s diatribe, but she’s been seeing a lot of people putting all of their emotional weight behind relationships lately, so much so that they saying they want to die when a relationship ends. She took to the mic to give some words of encouragement and offer resources for those who are truly depressed. Follow Shannon Cason @ShannonCason and check out the podcasts Homemade Stories and The Trouble with Shannon Cason. Visit AdamandEve.com and use the promo code GIFT21 for free gifts and free shipping.